I got a letter the other day asking me for some advice. The writer wanted my help in convincing a family member to get an Amazon Kindle eBook reader, by highlighting some of the many benefits of the Kindle and sharing some of the best places to find free eBooks. No problem there. I love my Kindle. I did a video review back in November, and now I’ve amassed over 175 eBooks and haven’t paid for any of them. Okay, so need is relative. You need food and clothing. You need shelter so you don’t freeze to death. But the Kindle is a really great thing to have. They’re not that expensive to begin with (I think I paid around $140 for mine), but if someone’s willing to buy you one as a gift, I can’t imagine why you’d turn it down. This comes from someone who adores real books and always will. How else can you take an entire library everywhere you go? I can’t think of anywhere else you can get hundreds—nay, thousands—of free books that you get to keep. And, authors often give away free Kindle versions of their books for limited times. 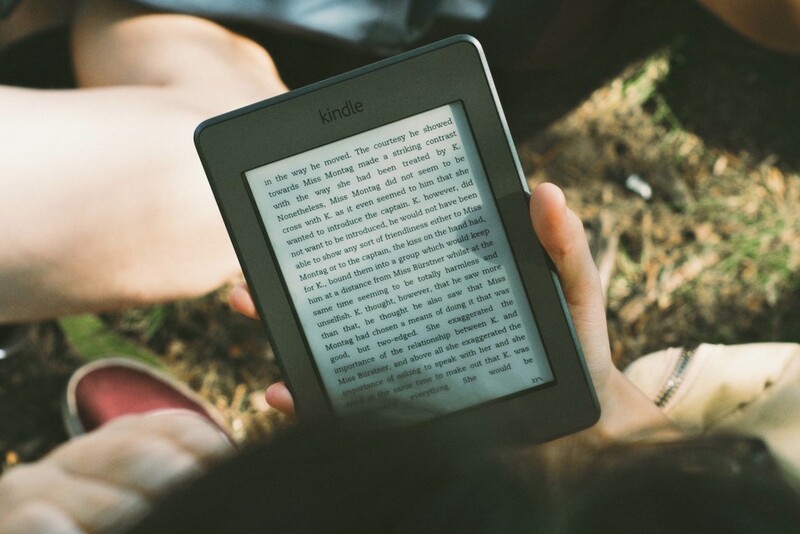 The publishing industry is moving toward digital anyway, so eBooks aren’t going away. The environment could use more trees. You don’t have to leave your house to buy an eBook. eBooks are downloaded in less than a minute. eBooks don’t collect dust and don’t take up valuable shelf space. And, when you decide to move, you won’t need 100 boxes and a crane to transport your book collection. You’ll never have to dig out your dictionary again when you come across a word you don’t know, because the Kindle has a built-in dictionary. You can’t misplace an eBook. You can take notes directly on the Kindle, so you can forget your paper and pen. You can read your own novel-in-progress in a different format without having to print off a 300-page manuscript. You can transfer PDF files from your computer and read them on the Kindle. Most eBooks cost less than 10 bucks. Some cost as little as a dollar or two. You can read newspapers and magazines from around the world. You can increase or decrease the font size according to your preference. I could probably name at least twenty more reasons the Kindle rocks, but I think you get the point. Can You Really Get Free eBooks for Your Kindle? Would you like to own these books at no cost? That’s just a small sampling of some of the classics available directly from Amazon. A quick internet search for any book in the public domain will generally turn up a free eBook version from other sites. Or maybe nonfiction is more your thing. How about these limited time offers? Better act quickly, though. These books will soon have a price tag on them again. Then again, there are always new limited time offers turning up. You can subscribe to magazines like these (or receive a compliementary copy) for free. Love cooking? How about some free cookbooks? Are you a Janeite? Download all of Jane Austen’s works here. If that’s not enough, Hongkiat.com lists The 20 Best Websites to Download Free eBooks. Visit Amazon’s Limited-Time Offers page. As new eBooks become available for free, they’re listed here. Search Amazon’s eBooks from lowest price to highest price. If you’ve got a bit of time on your hands, you can manually scroll through the listings to see if there’s anything free that takes your fancy. Visit Project Gutenberg. Most of the classics are available here free, in a variety of formats. Visit Inkmesh. This site is a directory which lists free eBooks from a number of different sites. 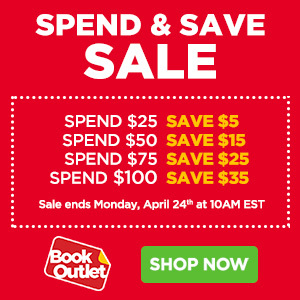 Visit ManyBooks.com. Another great site I’ve used to download classics. Do an internet search for a specific free eBook. If you know the book you want is in the public domain, a quick search will more than likely turn up a free copy somewhere. Download free eBooks from blogs and transfer them to your Kindle. Bloggers often write informational eBooks and offer them for free. See The Top 5 Free eBooks for Fiction Writers. Of course, if there’s an eBook you really want and it’s not free, you’ll probably pay less than $10 for it. Please note: Do be discerning about the sites from which you download free eBooks. Use reputable sites and read reviews beforehand to make sure other users haven’t had any problems with corrupt files or viruses. Learn more about the Amazon Kindle 3 eBook Reader here. And to the writer of the letter that prompted this post, I hope this helps! My husband has a Kindle and absolutely loves it. I am still so hesitant. I LOVE real books. I love the smell of books, the feel of the pages, and being able to see my progress on how far I have to read. But the biggest selling point, is that I can take thousands of books with me. I cannot tell you how much I hate having to pick two books per trip when I have at least ten that I want with me. When I was little and switching back and forth between my dad and my mom on holidays, I used to pack an entire suitcase full of my books. I do wish I had the Kindle for trips like that. My husband also loves the free classics. He was never really interested in them, but when he saw they were free, he got hooked. He also likes the sample trials that you can download before you decide to purchase the entire book. Thanks for the post! You got me thinking about getting the Kindle again. I love the look, feel and smell of books, too! I love wandering through the library aisles and just looking at the spines. But because I’m destined to travel back and forth between two countries on opposite sides of the world (my family’s in Canada, my husband’s family is in Australia), books I want to pass on to my children, I’ll buy in hard copy. Books I just want to read once or twice, I’d rather have on Kindle. If you spend a lot of time travelling, I think it’s awesome. Or, if you’re a student and you want to carry around a number of books with you at once, it’s great for that too. Or, if you just love free books! Visit OmniLit.com and AllRomance.com. Lots of free books there, too. I love my kindle and love the blog with all the free books. I have finally started reading the classics too since my husband bought the kindle for me. Thanks so much for this blog. I downloaded at least 11 of the suggested books already. First, thanks for the great source of free e-books. This page gets bookmarked. Magazines are interesting. Looks like good stuff on building, fixing, maintaining PCs. But Human Resources articles, too, might be helpful when stuck and needing a character trait. Plus, I just used the free Kindlegen to quickly make this web page into an ebook and read it on my Kindle. Well, my Kindle is on my PC, but it’s also free. I’m trying to learn more about publishing on Kindle – I take mine everywhere! – and am not familiar with Kindlegen or using it to convert a web page into an ebook. I searched on Amazon. What am I missing? I received a kindle, but returned it. Reason: It wasn’t compatible with my library’s system. The library staff seems to think a future upgrade or version is coming. For now, I’m waiting and saving your post when that day arrives. Later this year OverDrive (which most libraries use) will be upgrading so that you can read the library’s ebooks on the Kindle and not just iDevices and such. I can’t wait. I love my Kindle. Only in the USA. For anyone else, if library use is important to you, get an alternative (Sony, Nook, Kobo, whatever). There are other ereaders out there, most of which are better and cheaper than the Kindle – it’s a shame this article doesn’t even mention them. Preaching to the choir, here! I adore my Kindle and also have a library of at least 500 print books. As you mentioned to Ashley, Kindle is great for travel and commuting. But thanks for the heads up about limited-time offers, Suzannah! I hadn’t tapped into that yet. I’m still a paper fan. The pages wrinkle so nicely when you read in the tub…and the way books smell…I’m with you, Ashley, and Suzannah, you do make a compelling argument, but I’m glad you like the odor of books, too. They are simply physical in a way that ebooks can’t be. It is free online eBooks library, where one can find over 27’000 eBooks.